Bringing Biodynamics Down to Earth . 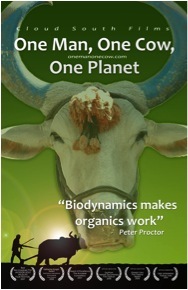 . .
Biodynamic farming is a powerful and proven system of farming organically. Utilized heavily around the world, in North America farmers have yet to take full advantage of this elegant natural system. California biodynamic farmer and educator Gena Nonini will teach how to implement biodynamic practices in a commercial-scale farming enterprise, small urban farm, and all facets of landscaping. A basis in theory followed by a lot of practical knowledge will enable you to put biodynamic practices to work on your farm, in your yard, at your hotel, golf course or container gardens. Please call to reserve your spot: 805-646-4294. Space is limited to 50 people. Workshop for 3 or more: $225 ea. To purchase workshop tickets now, please click here. CRA (Center For Regenerative Agriculture), w/ notation: Biodynamic Workshop. Mail check to Transition to Organics, 1129 Maricopa Hwy, PMB 190, Ojai, CA 93023. A deeper look at the role of ‘natural’ law as defined by science vs. “cosmic” law as defined by the works of Goethe and Steiner. Intensive full day with lunch and dinner break. Lunch included. Day 2 – Practical Applied Biodynamics (with part of the day on a biodynamic orchard). Paradigm Shift in Thinking: The fundamental shift in thinking required for biodynamic practice. The role of fertility in relation to composting, cover cropping, soil structure and humus formation and the integration of biodynamic practices. 6:30pm: Evening Farm To Table Dinner ~ Please join us for an amazing evening of great food, great talk, new and old friends, in the citrus orchard under Ojai’s pink sky. Please call to reserve your spot: 805-646-4294. Dinner, 2 tickets: $110 ea. Dinner, 3 -7 tickets: $100 ea. To purchase dinner tickets now, please click here. with notation: Farm to Table. 1129 Maricopa Hwy, PMB 190, Ojai, CA 93023. Checks must be received no later than July 21st. Day 3 – Bringing biodynamics into the landscape arena. All aspects of BD principles, preps and applications will be covered in this wonderful morning focusing on landscaping and backyard food gardens. Gena Nonini is the owner of Marian Farms and a master distiller. She studied Agriculture Business Management at Cal Poly in San Luis Obispo, California and did her graduate work in Agribusiness at Arizona State University in Tempe, Arizona. Gena is sought after as an accomplished biodynamic farmer and teacher throughout the United States and Canada. She serves on a number of boards and offers private consulting services as well. Nonini is the president of the board of the Josephine Porter Institute for Applied Biodynamics and president of the board of the Biodynamic Trade Association. Transition to Organics (TTO) is a project of Center for Regenerative Agriculture (http://www.ojaicra.org/). TTO’s focus is to support the Earth by working with Nature. We are committed to inspiring and educating land stewards, offering workshops, conferences and hands-on advice about how to build self-nourishing systems which create happy, healthy farms, gardens and communities. FOR SCORPION, MOSQUITO, FLEA, and TICK CONTROL inside and outside premises, Natures Defender PCO Choice is a Chemical Free Solution specially created for Pre or Post treatment of insect infestations. It can be applied with hose end, trigger, compression and pressure applicators. It is designed for immediate insect control results of inside and outside treatments for Residential, Commercial, Industrial, Governmental, Equine and Dairy entities. It is effective for control of Mosquito, Flea, Fly, Chigger, No-See-Um, Mite, Bed Bug, Japanese Beetle, Scorpion, Carpet Beetle, Ant, Mole Cricket and numerous other Non-Beneficial Insects. Natures Defender PCO CHOICE is also effective in control of GRUBS when applied on turf areas experiencing grub infestations that often result in damage to the sod. It can also be used in Misting and Irrigation Systems. The product is considered Safe to Children and Pets and has no effect on beneficial insects such as Lady Bugs, Butterflies and amphibians such as Frogs and Toads. It is classified as a Minimum Risk Pesticide by the EPA. NO APPLICATORS LICENSE REQUIRED. Normal safety precautions should be practiced when using this product. Natures Defender PCO Choice is sold in quart and gallon containers. 4 oz. to 1 gallon of water. Where Can I sign? Because this is a California Ballot Initiativate, we need in-person, physical signatures. We cannot gather online and have until April 22nd to gather 800,000 signatures to get this on the 2012 California Ballot. To sign in Ojai, go to Rainbow Bridge. There’s a table in the front of the store. 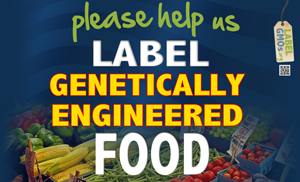 via Label GMOs, Genetically Modified Foods – California Committee For The Right to Know – A 2012 Ballot Initiative Campaign. Transition to Organics was invited to participate in the Ojai Valley Wide Discussion with Supervisor Bennett. We submitted the following list of accomplishments and recommendations. Transition to Organics has sponsored two successful, well-attended conferences this year. 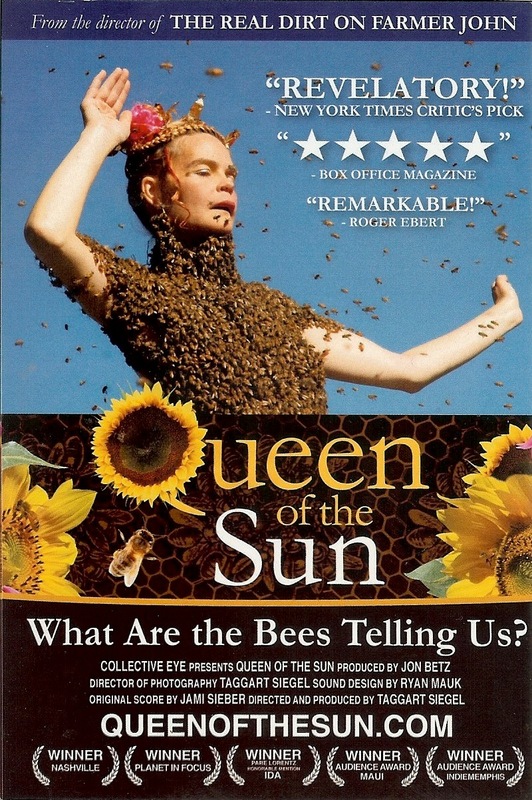 We also sponsored, along with Denise Ritchie (Malibu Compost), the screening of an important documentary, Queen of the Sun, What Are the Bees Telling Us, at the Ojai Theater, with the filmmaker Taggart Siegel and Ed Begley Jr. hosting the event. Courtney Cole (Grounded by Nature), and Kim Ainsworth (owner of Redtail Ranch) joined us in sponsoring the after event, which was a memorable community gathering honoring the bees and beekeepers. Organic and biodynamic farmers donated time, food and energy to prepare delicious dishes and treats for this incredible gathering. The most notable result of our efforts is that we were instrumental in inspiring a Ventura County orchard to begin the transition to organics! The orchard manager also manages other orchards, and we are hopeful that the success of this first orchard will spur the manager on to begin transitioning the others! Our Transition to Organics Team includes Steve Sprinkel (Farmer & the Cook, Gozo Farm), Matt Boeck (organic horticulturist and pest control advisor), and Gena Nonini (biodynamic expert and land manager for Marian Farms). They are available for consultation and advice on how to best begin and follow through with transitioning to organics. Also, because of the Queen of the Sun event, we have a newly formed Beekeepers Club meeting at the community meeting room next to Farmer and the Cook, monthly, as announced. 80 people are signed up in the club and 40 actually showed up for the first meeting. The room was buzzing with enthusiasm in support of creating bee friendly, sustainable landscaping, backyards, orchards and agriculture in our valley. Update: We just got news that one of the attendees of the Queen of the Sun event (an orchard owner in San Diego County) who was inspired by the message of the movie, is in the first steps of transitioning! Also: a local orchard manager and a golf course manager are seeing results with the biodynamic compost soil amendment, and are moving ahead in testing larger areas on the properties they manage. 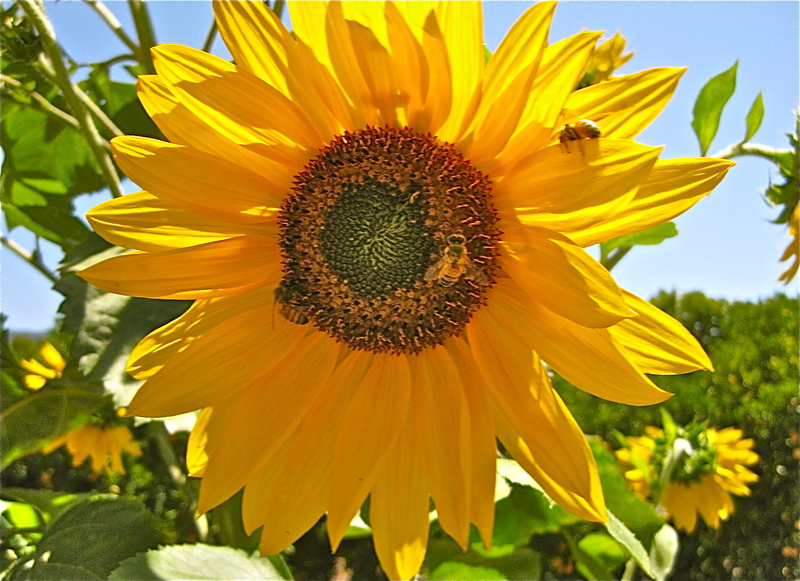 Transition to Organics is continuing to educate and inspire community members to honor the bees and support our local, sustainable farmers and fruit growers. Transition to Organics has already spread to Carpinteria, where a community group, Carpinteria Transition 2 Organics, has formed! We are planning the next Transition to Organics conference, details TBA. We invite the whole community to participate! This website includes a resource page for all local sustainable organizations to send information and events to be posted. Do you feel that the Ojai Valley is a model green and sustainable community or that there is more work to do in this area? Do you have suggestions for additional steps needed in this area? 1. Encourage and support City, County, and State maintenance departments, landscapers, gardeners, farmers and orchard owners in our valley by offering information about cost effective, nontoxic alternatives to pesticides (which include herbicides). 2. Offer formal education programs, with obligatory participation by certain members of facilities management, including schools and parks. Learn from local professionals who are already using nontoxic remedies in their landscape management. Learn from other cities that are successfully using nontoxic alternatives to pesticides and herbicides, such as Arcata, California. 3. Eliminate spraying of toxic herbicides, using site-specific, efficient and timely use of safe alternatives, such as vinegar, flame torching (in spring, when weeds are just emerging), mulching, sheet mulching, utilizing goats as weed control, and other alternative methods. 5. Create a dialogue about the weed control issues facing the county and have some community input in the process. Indiscriminate use of pesticides is detrimental to the health of the community. People are getting spayed in the face (without their knowledge and consent) as they are driving or walking on the bike path where county sprayers are using pesticides along the side of the road. 6. Instead of using fear tactics to discuss the Asian Citrus Psyllid, encourage growers to use mulch and compost to create healthy soil that retains water and supports the citrus trees, instead if expecting the use of pesticides to kill the pests. 7. Encourage local enforcement agencies to police and ticket Pesticide Applicators (landscapers/gardeners) whom do not have current Pesticide Applicator Licenses (either QAL, QAC, or Q) and are transporting unsecured/unlabeled pesticides in their commercial vehicles. A visit to any local landfill will present up to 50 of these unlicensed contractors an hour. Last week’s screening of the beautiful, exciting, and inspiring feature length documentary, “Queen of the Sun” has tapped into a large enthusiasm for honey bees and beekeeping in the Ojai Valley. With the help of Renee Roth, a list of around sixty people have added their names to a list of those interested in starting a beekeeping club in Ojai. Farmer and the Cook has generously offered up their annex for a kick off meeting of a new club on Thursday evening, July 21st, at six o’clock. This is a space they normally rent out, so we are asking a suggested donation of $ 5.00 to defray their expense and that we park in the surrounding neighborhood and not jam their parking lot. A beekeeping club can offer a lot of advantages to prospective, new, and experienced beekeepers. We could offer a beginners course to get people started, sponsor speakers on various topics, and provide a social base for increasing everyone’s base of knowledge, expertise, and appreciation for bees in our lives. I hope you can come and increase your joy in being with bees. 2. Weeds can be a good thing, they flower, they attract pollinators. 3. Don’t use chemicals and pesticides to treat your lawn or garden. 4. Buy local, raw honey. 5. Bees are thirsty. Put a small basin of fresh water outside your home. 6. Buy local, organic food from a farmer that you know. 7. Learn how to be a beekeeper with sustainable practices. 8. Understand that honeybees aren’t out to get you. 9. Share solutions with others in your community. 10. Let congress know what you think. Honeybees are vegetarians. They want to forage pollen and nectar from flowers up to three miles from their hive and bring that food back to provide food for themselves and the beehive. A few tips to avoid getting stung: 1. Stay still and calm if a bee is around you or lands on you. Many bees will land on you and sniff you out. They can smell the pheromones that come with fear and anger which can be a trigger for them to sting you. 2. Don’t stand in front of a hive opening, or a pathway to a concentration of flowers. Bees are busy running back and forth from the hive, and if you don’t get in their way, they won’t be in yours. 3. Learn to differentiate between honeybees and wasps. Honeybees die after they sting humans (but not after they sting other bees! ), wasps do not. Wasps are carnivores, so they like your lunch-meats and soda. Change has to happen from the top-down as well as from the bottom-up so speakup, get involved.